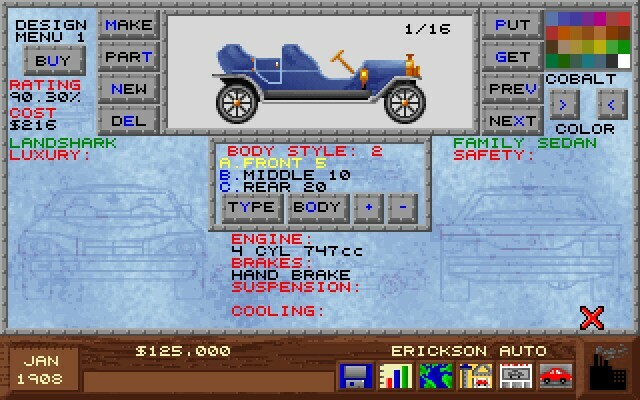 Starting with a limited amount of funds and one territory, you begin in 1908 ready to build an automotive empire. As one of four start-up companies, you decide how many factories and sales offices to build, type of car to design, how many people to hire, and how to advertise your products. Either human or computer can be assigned to the other three companies. The game lasts, if the company is profitable, to the year 2008. Since each turn is one month long, a complete game may take 1200 turns. There are six levels of difficulty ranging from very easy to very hard. The starting amount of money available to a player varies in proportion to the difficulty level. During the game you can access the administration, manufacturing, research and development, marketing, and archive buildings. These buildings comprise the heart of game. Although it is not mandatory that you look into each building per turn, it is wise to inspect them as technology, profits and losses, demands, and designs change over time. Since the game is turn-based and not in real time, a player should have plenty of time to plan out his strategy before proceeding to the next turn. Each car type has its own distinctive look. As the years pass, the overall shape of the car changes to reflect the times. For example, the pre-1920's autos look fragile and weak compared to the stylish cars of the 1930's. As time passes, technicians on your staff would create new technologies in the areas of brakes, suspension, engine, safety, cooling, and luxuries. In order to stay competitive, you must incorporate new technological changes into your car. 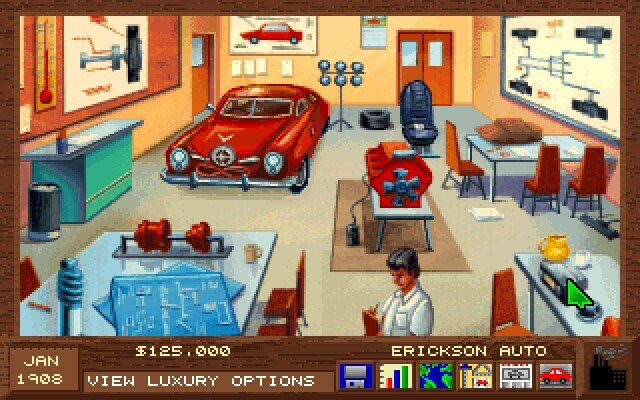 Of course, any time you create or improve a current model car, you will need to test it before marketing. Test driving cars was loads of fun especially when you see how the computer would rate the overall performance of your car with respect to road handling, braking, load capacity, MPG, and acceleration. You do have a choice in selecting what tests to perform for your car as it gets to be very expensive. You can then watch your car take off and skid as the tests proceed. I enjoyed watching the test dummies enter the car, heh heh heh. 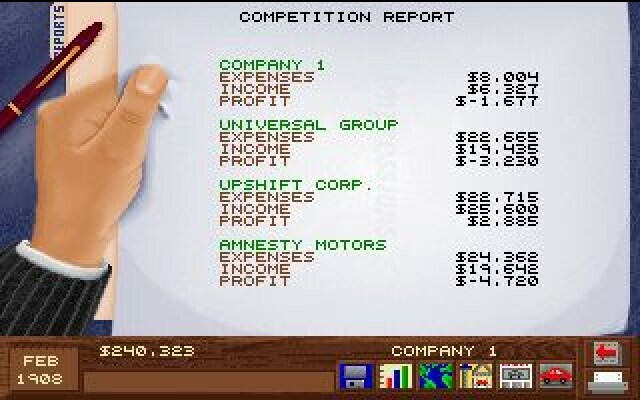 The rest of the game involves creating supply lines from the factories to the sales offices, advertising, hiring employees, dealing with labor issues, facing historic events such as the Great Depression and the world wars, and reviewing monthly reports. Detroit is a fun diversion for anyone who is interested in cars and automotive history. 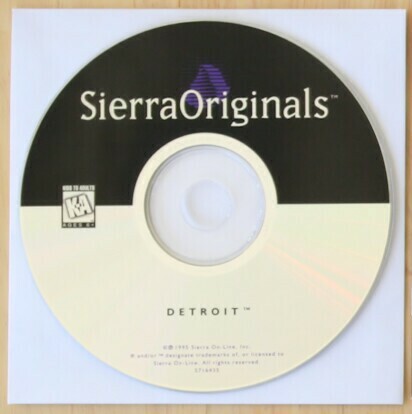 This was the only simulation game on the market at the time that deals with this particular subject.